I graduated from Liverpool University in 1984, and trained as a GP in Surrey before moving to Bury St. Edmunds in 1989. I have been working at Mount Farm Surgery since 1995, becoming a partner in 1996, and I am now the senior partner for the practice. I have been a GP trainer since 2002, and my clinical interests are skin problems and women’s health, as well as minor surgery. I am also a GP appraiser of the GPs of Suffolk. Apart from my role at Mount Farm Surgery, I work one day a week in the West Suffolk Hospital as the Training Programme Director for GP training, overseeing and delivering the teaching for all the GP trainees in West Suffolk. I am also an examiner for Cambridge University, and the Royal College of General Practitioners. I am married with three grown up children. When not at work, I enjoy horseriding and cycling around Suffolk, gardening, and watching rugby. I graduated from the University of Nottingham in 2001, and worked in hospital medicine in far flung places such as Nottingham, Truro, Australia, Derby and Norwich, before deciding to move into general practice in 2007. I trained as a GP in Bury St. Edmunds, and have worked at Mount Farm Surgery since 2009, first as a GP registrar, and then since 2010 as a partner. I am the lead doctor for prescribing and infection control. My clinical interests include men’s health and minor surgery. I am married with three children. When not at work or immersed in family life, I enjoy a spot of gardening or cycling around the lanes of Suffolk. I joined St. Andrews University in 1995 to study pre-clinical medicine, before going on to study Clinical Medicine at Oxford University (Green College). I graduated in 2002 and moved to Suffolk in 2003. After becoming a member of the Royal College of Surgeons in 2006, I embarked on a career in general practice. I became a member of the Royal College of General Practitioners in 2010 and joined Mount Farm Surgery in June 2011. I am also a GP trainer involved with the post graduate training of the registrars at Mount Farm Surgery. Outside work, I enjoy spending time with my young family. I graduated from Southampton University in 1999. I then spent the next 7 years working on the South coast, mainly in Chichester, until I moved to Bury St. Edmunds in 2006. 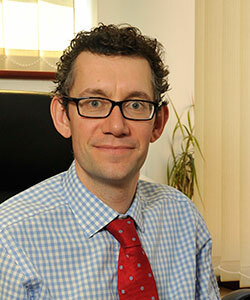 I joined Mount Farm Surgery as an associate GP initially, but then went on to become a partner in April 2012. I am a GP trainer involved with the post graduate training of the registrars at Mount Farm Surgery. I especially enjoy the variety that general practice provides, as well as getting to know patients and families over an extended period of time. I work 3 days a week, and spend the rest of my time running around looking after my 4 young children. I graduated from KMC Mangalore University in 1993, and joined Mount Farm as a registrar in 2007. After working elsewhere in Suffolk, I returned to Mount Farm in 2012 as a salaried GP. I have a special interest in Paediatrics, and enjoy gardening and travelling when not in work. 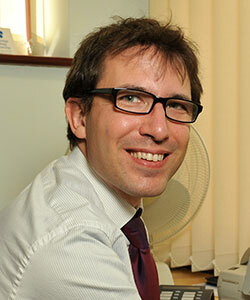 I graduated from Barts and The London Medical School in 2006, and trained as a GP in Bury St. Edmunds. I started as a registrar at Mount Farm in 2011 and became an associate GP in 2014. I have an interest in women’s health and I am trained to fit coils. I really enjoy the variety of work in general practice, and work two days a week to ensure I achieve a good work-life balance with my young family. 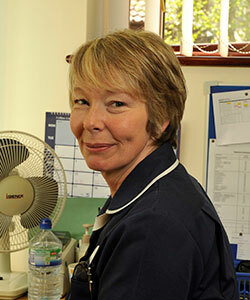 Having trained at West Suffolk Hospital, I’ve been a Registered General Nurse for 30 years. 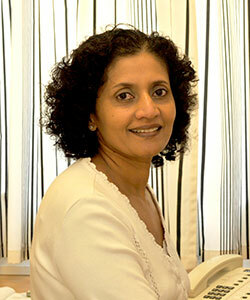 I have worked at Mount Farm Surgery since 1997. I have a special interest in Diabetes, and respiratory conditions. 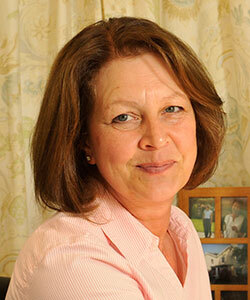 I am also an Independent Nurse Prescriber, able to deal with minor illnesses. 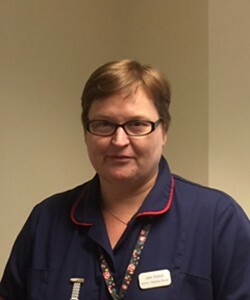 I trained at West Suffolk Hospital in 1986 and have had various nursing jobs. 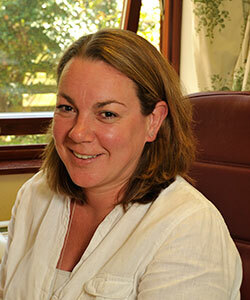 I have worked at Mount Farm Surgery since 1997, and my main role now involves Minor Illness as I am a Nurse Prescriber. I also see patients on the chronic disease register, and have a particular interest in Asthma. My leisure activities include walking my 2 golden retrievers, cycling, and spending time with my family. 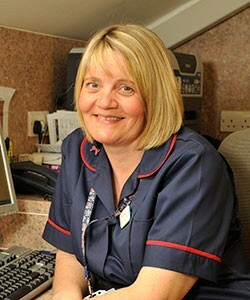 I’ve been a Registered General Nurse for 25 years, with previous posts including Renal Dialysis and Smoking Cessation. 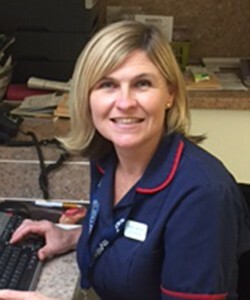 I have been with Mount Farm Surgery for 4 years, and my special interests are Wound Care, Travel and Childhood Immunisations. Outside of work, I enjoy reading, cycling and spending time with my family. I’ve been a Registered General Nurse for 9 years, with a special interest in practice nursing. I joined Mount Farm in 2015. Outside of work, I enjoy spending time with friends and family. 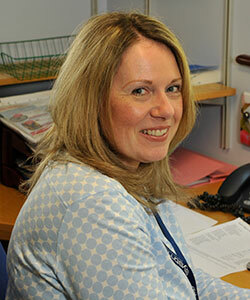 I have worked in general practice for 20 years as a Receptionist and Admin Assistant. 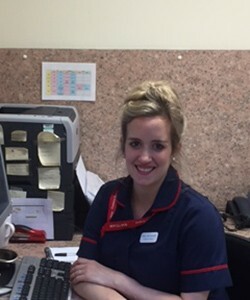 I have also worked at the West Suffolk Hospital as a Nursing Assistant and Occupational Therapy Assistant. I have recently joined the Nursing Team as a Health Care Assistant, which is a job I love and feel I have now landed on my feet. In my spare time, I enjoy spending time with family and friends, and being outdoors. I’ve worked in general practice since 2005. 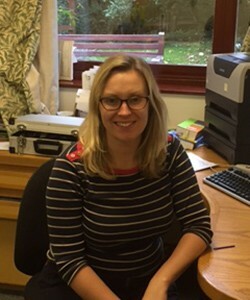 I joined Mount Farm in 2011 as Head of Reception, and in April 2015 took on the new role of Assistant Practice Manager, before taking on the role of Practice Manager in November 2016. When I’m not at work, I enjoy cooking and spending time with my husband, three children and two dogs.